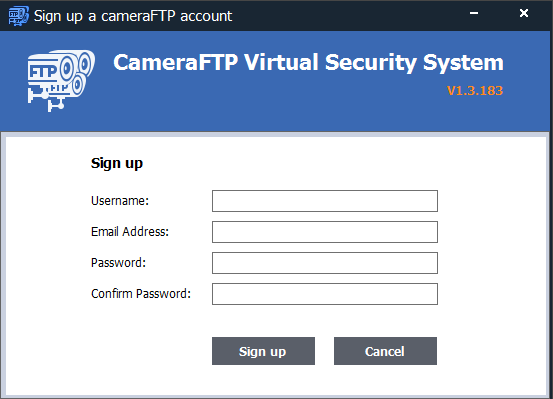 CameraFTP VSS is a powerful video surveillance program that can turn a PC/Laptop into a CCTV / DVR security system. 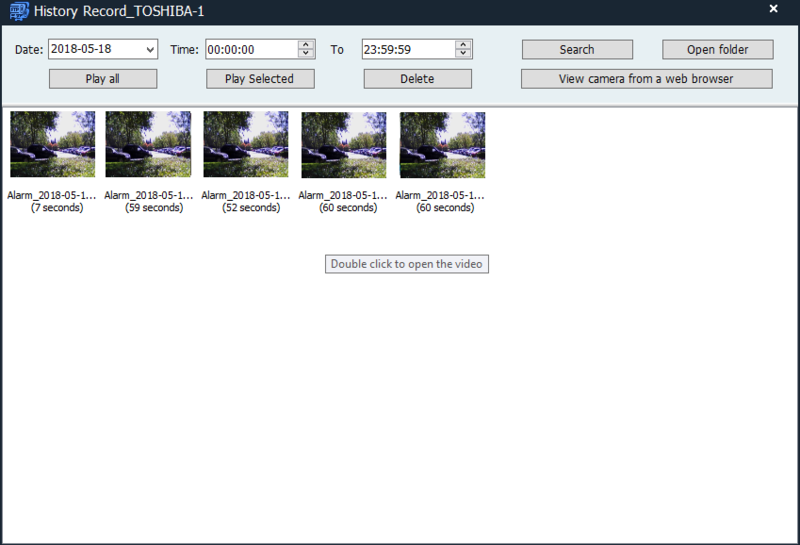 It can display the live scenes on a monitor, and record the footage to the cloud. 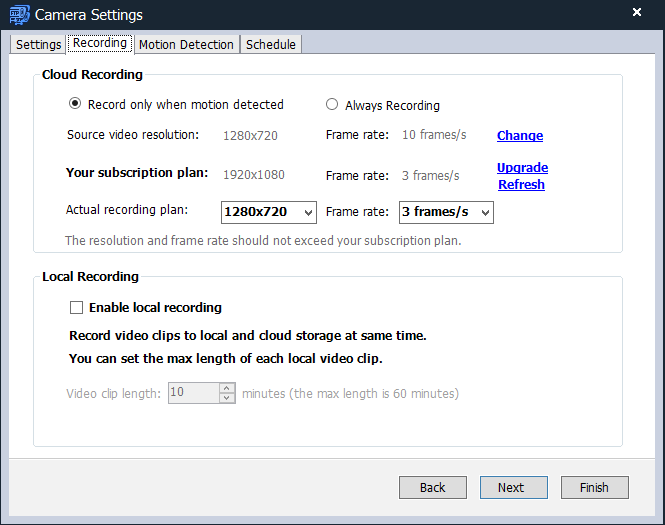 You can view or play back the footage anywhere, anytime. 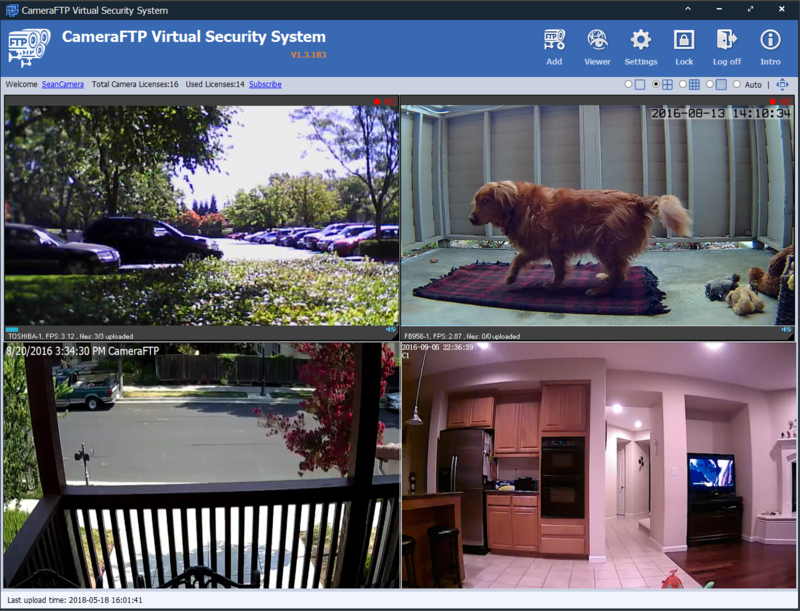 Regular CCTV system features: Can view up to 25 cameras on one monitor. Supports many video resolution and frame rate options. You can select a plan that meets your quality and budget requirement. 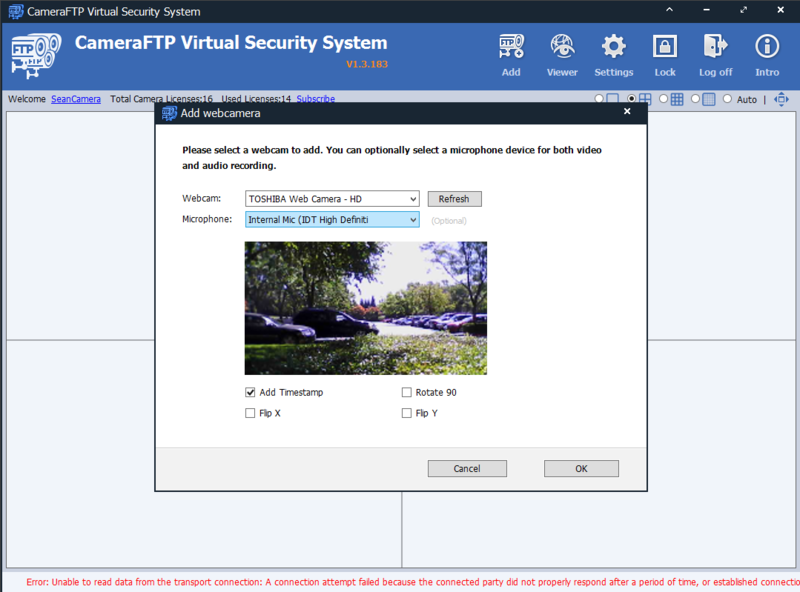 Record video clips even if your IP cameras can only upload images. 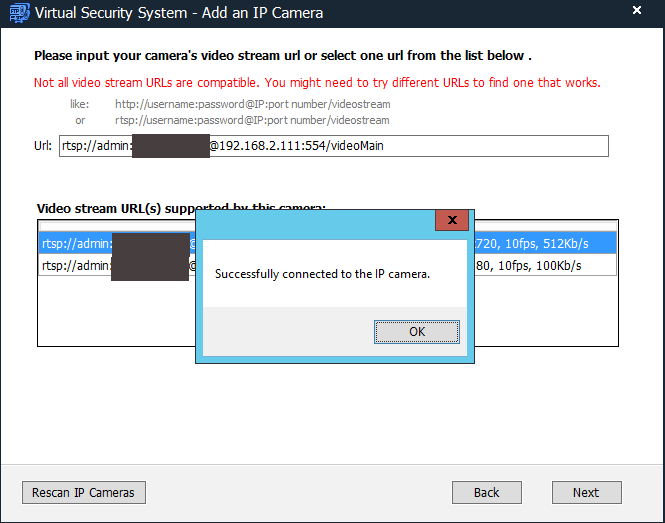 Very easy to setup; supports ONVIF, can search for cameras in the network and locate the RTSP video streaming URL. Extremely reliable; can automatically start after your computer is rebooted. 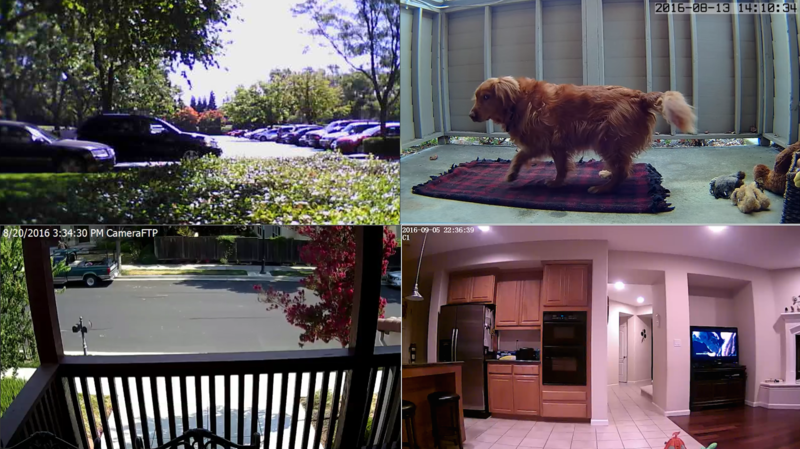 Supports many different camera layouts, including the full-screen mode. 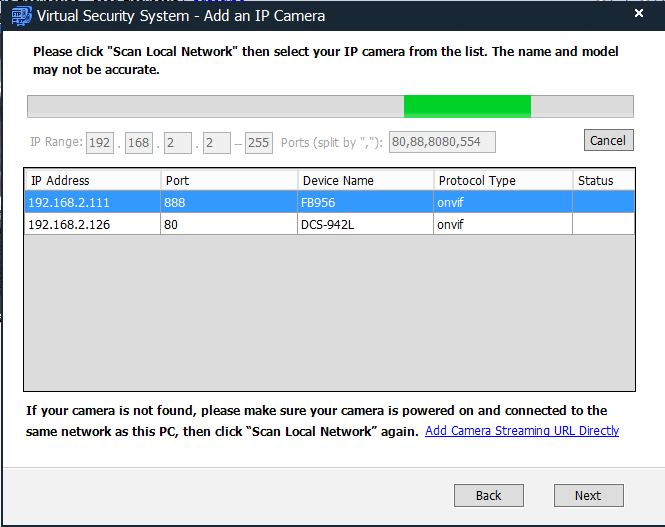 Supports locking the interface; other users cannot stop the program or modify camera setttings. 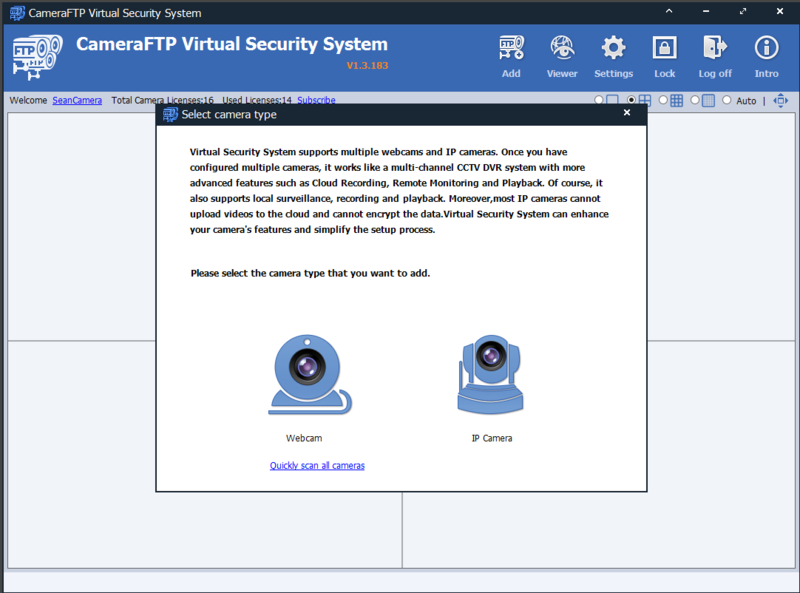 Main screen with two cameras.